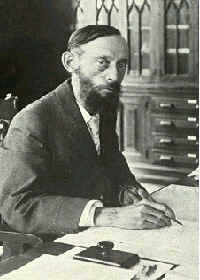 Nathaniel Lord Britton (1859-01-15 – 1934-06-26), U.S. botanist and co-founder of the New York Botanical Garden. Britton, N.L. 1906. Contributions to the flora of the Bahama Islands. III. Bulletin of the New York Botanical Garden 4: 137–143. BHL Reference page. Britton, N.L. 1910. Studies of West Indian plants—III. Bulletin of the Torrey Botanical Club 37: 345–363. BHL JSTOR Reference page. Britton, N.L. 1915. Studies of West Indian Plants – VI. Bulletin of the Torrey Botanical Club 42: 365–392. Reference page. Britton, N.L. 1920. Descriptions of Cuban plants new to science. Memoirs of the Torrey Botanical Club 16: 57–118. BHL JSTOR Reference page. Britton, N.L. 1922. Studies of West Indian plants—X. Bulletin of the Torrey Botanical Club 48: 327–343. BHL JSTOR Reference page. Britton, N.L. 1923. Studies of West Indian plants—XI. Bulletin of the Torrey Botanical Club 50: 35–56. BHL JSTOR Reference page. This page was last edited on 4 November 2018, at 22:37.